I poached it in oil. Last months issue of Bon Appétit had a recipe for an Oil-Poached Tuna Salad. Screw the rest of the fussypants salad, the oil poached fish is TOTALLY a keeper. Essentially, it’s a riff off of garlic confit. You heat oil, rosemary and garlic in oil, then when the temperature is right you add in the fish. Cook for 3-4 minutes, flip and cook another 3-4 until the fish is opaque (not raw looking). I’ve been serving it cold/room temp – if you’re making this a day ahead of time you let the whole shebang cool in the oil and then store it in the fridge. 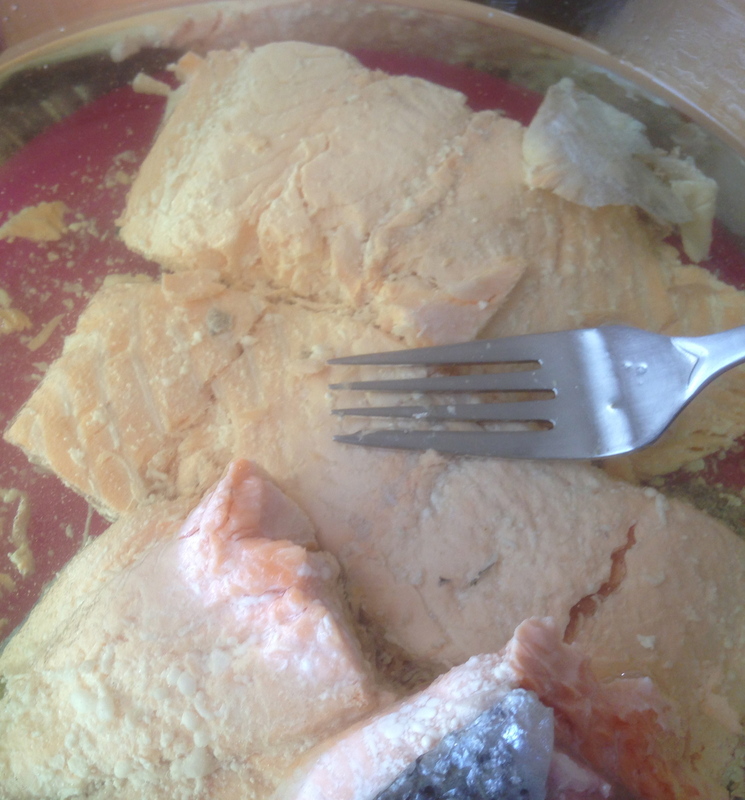 If you’re serving it now, you remove the fish from the oil, flake it and serve away. 2 garlic cloves **I used three frozen Dorot Garlic Cubes. They’re AWESOME little things. Pack SO MUCH flavor. 4 4-oz. bigeye or albacore tuna steaks (about 1” thick) **I used a single 2 lb. 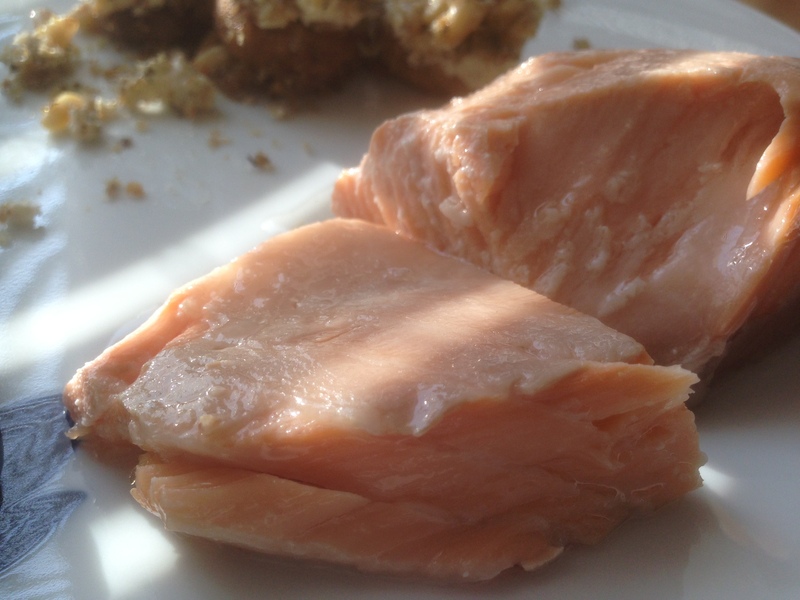 fillet of Salmon. I cut it into slices with a sharp knife when I got home, but the guy behind the fish counter could do this for you too. 1- Heat oil, rosemary, and garlic in same saucepan over medium-low heat until deep-fry thermometer registers 160°. 2- Season tuna with salt and pepper and cook in oil until opaque except for a bit of pink in the center, about 4 minutes per side. 3- Using a slotted spatula, transfer tuna to a plate. Let poaching oil cool, then remove rosemary and garlic. 4- Since tuna can be made 1 day ahead, return fish to cooled oil, cover, and chill. 5- Serve at room temperature.